During Berber villages family trek you will meet local people & visit old Berber houses. You will see also Berber village life firsthand while learning about the culture, traditions and local daily meals. A unique cultural experience combined with overnight gites and hiking at a leisurely pace. The hike will consist of 6-day 5-night and full of adventure and knowledge. The sights to see are endless, and the Berber villagers are sure to make you feel welcome for your whole trip. 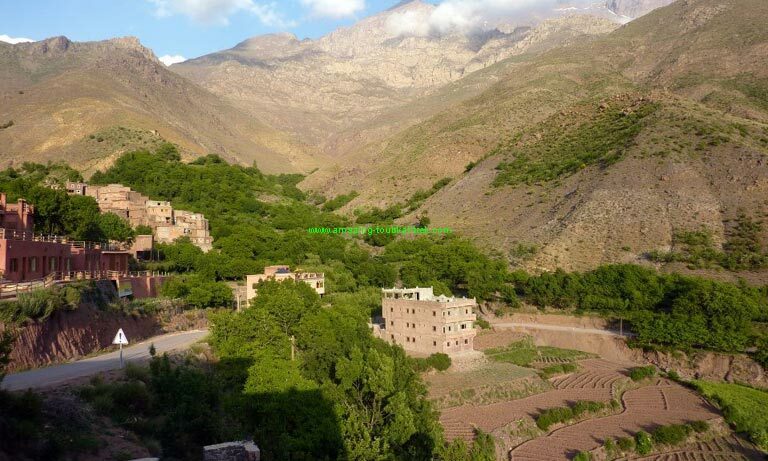 – Discover how Berber people and culture have grown in the beautiful Atlas mountains. 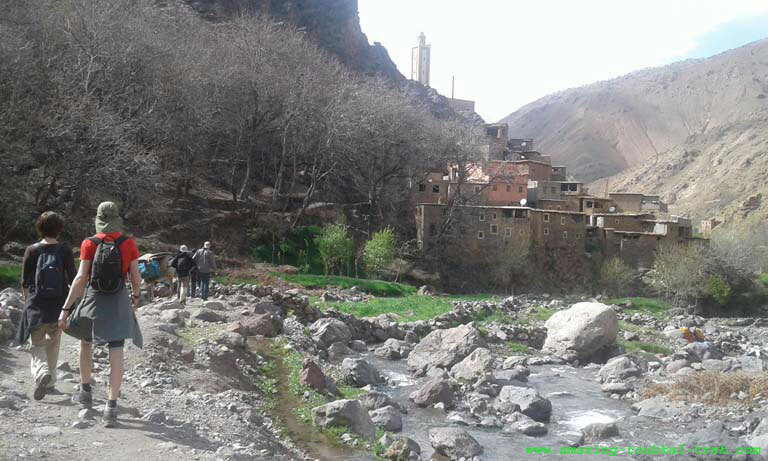 – Meet local people & visit old Berber villages. On this day we will be heading towards Atlas mountains and meeting with the mules. 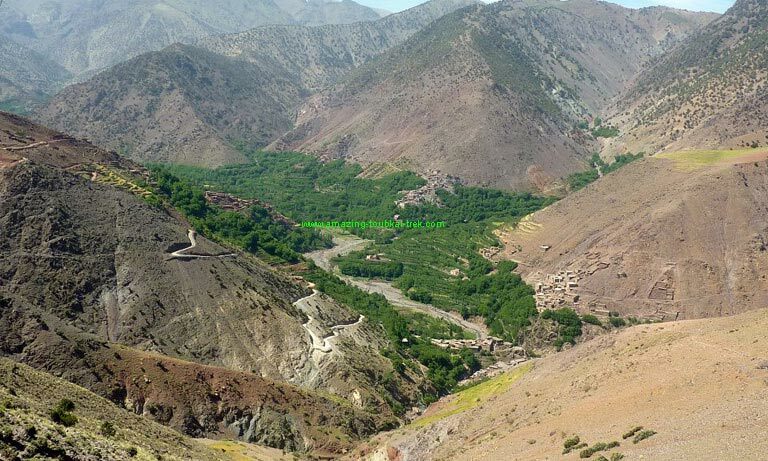 From there we walk to the Amssakrou River and spend the night in a Berber gite (around 1,500m). This day will involve about 3 hours of walking. These two days are used for exploring the villages of Amssakrou, Ikis, Tameguiste, and Tachdirt while walking along the Imnan valley. You will get to meet some natives and see how life is in the Berber villages. Overnight in a local gite. On day four we will cross the Tamatert Pass (2279m) before dipping down into the Imlil valley (1750m), and spend the night at a local guesthouse in the village of Aremd. This day will require around 5 hours of walking. This part of the journey will have some of the most beautiful sights of the whole trip. 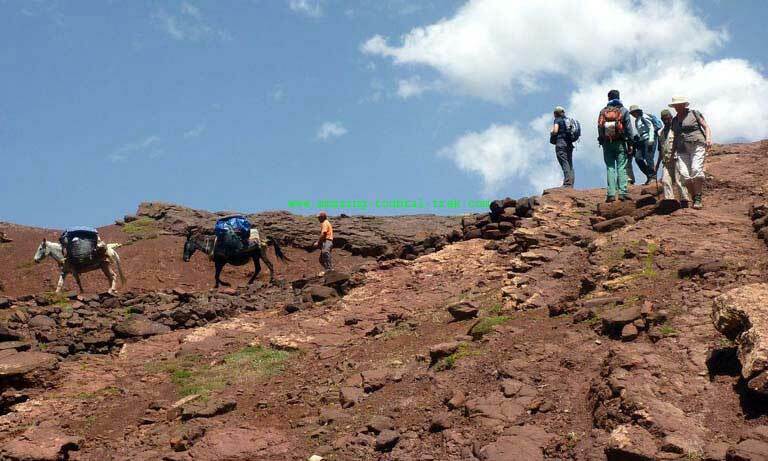 We will head along the mule path and meet up with the Tizi Mzik at around 2,490m and be able to catch a view of the snow-plastered Tazarat Plateau and the villages that have hanging terrace gardens that are set into the side of the hills. After just 4 hours of traveling, we will end the day in the village of Assif N’Azadene and rest for the next. Berber villages family trek: Hike through Berber villages and valleys on the spectacular trails with your family. Hiking Tour Around Berber Villages, Berber Village Family Trek.